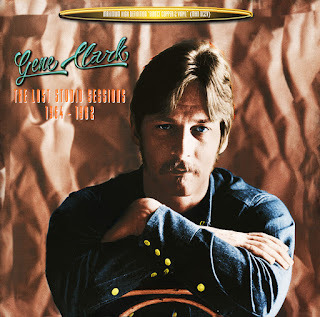 In a recent MOJO interview, Roger McGuinn hinted that it may not have been a panic attack that led to Gene Clark leaving the Byrds, but the promise of being the next Elvis. For some dumb reason that solo career never took off. But Gene Clark certainly had all the makings. He was Hollywood handsome and a total chick magnet. Not to mention, one hell of a singer-songwriter. Despite not being the next Elvis, his legacy remains groundbreaking. The Fantastic Expedition of Dillard & Clark essentially paved the way for Country Rock. His solo albums, White Light and No Other stand the test of time, defying easy categorization. However, his catalog remains a bit of a mess. Albums and compilations often go in and out of print, on fly by night labels. At steep prices. Only a haphazard assortment of his output is available for download. All of which makes Clark’s recordings more elusive than they should be. The Lost Studio Sessions 1964-1982 is another wild card to add to this ongoing game of 52 Pickup. While these previously unheard of studio outtakes and demos are a treasure trove for Clark fans, they by no means make for a good album. While the sound quality is superb, this is far from a cohesive listen. But is a good album the point really? Lost Sessions is essentially a vault dump the producers hope to cash in on. The people who put this together know full well who their target audience is. This collection is conspicuously unavailable for download and fetches for a pretty penny on CD and vinyl. Regardless, this release is a real eye opener for Clark enthusiasts. The first 6 tracks are startling. Because they’re virtually unrecognizable as Gene Clark. His overwrought vibrato sounding traditionally dated. In another era, Clark could have been Perry Como. These studio demos do however, provide a clear snapshot of Clark’s artistic development from New Christie Minstrel to Byrd. The songs themselves reveal what a precocious talent Clark had for writing. There’s a lyrical complexity and emotional depth that’s way ahead of its time. A far cry from ‘Love Me Do’. Despite Leon Russell’s over the top orchestrations, ‘Back Street Mirror’ reveals just how much of an impact Bob Dylan had on Clark. One can hear him marry the Beatles’ melodic smarts with Dylan’s dazzling word play. His vocal delivery owes so much to Dylan, it verges on parody but one can hear flashes of originality. The song’s only release was on the 1967 David Hemmings album, Happens. But Hemmings’ version is nowhere near Clark’s in terms of passion and emotion. On ‘Back to The Earth Again’ one can hear Clark finally coming into his own. The ensuing six tracks are stunning. It’s criminal the likes of ‘The Lighthouse’ or ‘The Awakening Within’ never made it on any Clark release. According to the liner notes, Clark may have forgotten having even written them. Such was his level of productivity at the time. Simply put, they’re dazzling. Clark’s maze-like lyrics fraught with mystery, yearning and self-doubt. Time and place become nebulous in ‘The Lighthouse’. It’s more like Clark is writing a letter off the top of his head. ‘Sweet Adrienne’ is a multi-faceted portrait of a woman who is beyond his grasp. ‘Walking Through This Lifetime’ and ‘The Sparrow’ keep up the ante. I’ll be damned if ‘Only Yesterday’s Gone’ isn’t a lost classic. Beautiful. As for the remaining cuts, we’re treated to a rousing, passionate version of ‘She Darked The Sun’. One that surpasses that off The Fantastic Expedition of Dillard & Clark. ‘Don’t That Road Look Rough and Rocky’ was recorded for a 1972 album that ground to halt when producer Terry Melcher was injured in a motorcycle accident. Many of the tracks resurfaced on the posthumous Dutch release, Roadmaster. The Melcher version here is stunning, eight miles above the version on Roadmaster. The rest of the collection isn’t nearly as revelatory. Gram Parsons covers and a stab at the Box Tops’ ‘The Letter’ are interesting curios but far from Clark in his prime. Most notable is his take on Roddy Crowell’s ‘No Memories Hanging’ Round’ from the 1982 Nyteflyte sessions. At its best, Clark’s talent was completely intuitive, not intellectual. As dreamy as his songs are, they’re undeniably visceral. And instinctively, he knew what all great songwriters know: Great songwriting isn’t about being cool and clever but being emotionally vulnerable. Something Clark delivered in spades. The man could sing the phone book and bring a tear to your eye. 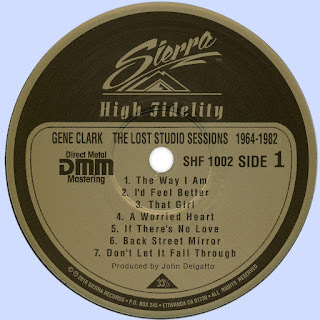 Truth of the matter is, Gene Clark fanatics simply cannot afford to pass this one up. A priceless trove of too well kept secrets. Also, an unflinching chronicle of a great artist’s rise and eventual fall. Can't wait to jump into this. Thank you.